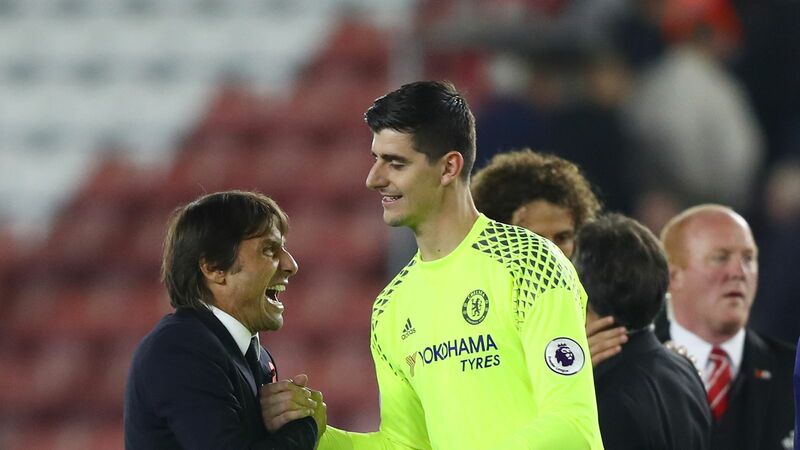 Over the last five Chelsea matches in the Premier League, goalkeeper Thibaut Courtois has only had to deal with eight shots on target, an average of less than two per game.Five of those actually came in our match against Manchester United, while both Leicester City and Everton were prevented from getting even a single attempt on goal.Chelsea have dominated at both ends of the pitch, leaving Courtois with not much to do. Real Madrid and Atletico may be reportedly interested in the Chelsea goalkeeper but he is enjoying life in the Premier League and has no desire to leave just yetThibaut Courtois has rejected suggestions he could quit Chelsea in favour of a move to Atletico or Real Madrid, insisting he is happy at Stamford Bridge.30 years on, how will Man Utd replace irreplaceable Sir Alex?The Belgium international joined Chelsea from Genk in 2011 and spent three seasons on loan at Atletico, where he impressed for three seasons, winning the league title, Copa del Rey and Europa League under Diego Simeone's leadership. Thibaut Courtois says he wants to win the Premier League title with ChelseaThibaut Courtois insists he is happy at Chelsea and has had no contact over a possible move to Real Madrid.The 24-year-old goalkeeper has previously said he would like to return to La Liga in the future, having spent three seasons on loan at Atletico Madrid, but would wait until the final year of his contract to make a decision on leaving Stamford Bridge in summer 2018.Courtois is currently on international duty with Belgium ahead of their World Cup Qualifier against Estonia on Sunday, live on Sky Sports 1, but has spoken out to confirm his club status after reports linking him with a transfer to Real Madrid.